Hello, Elegance and Elephants readers! What stellar knock-offs shown thus far in the series, and the month is so young....The inspiration is blowing us away, and our sewing to-do list keeps getting longer and longer!! Today, we'd like to share with you our knock off of the Mini Boden Embellished Summer Skirt. 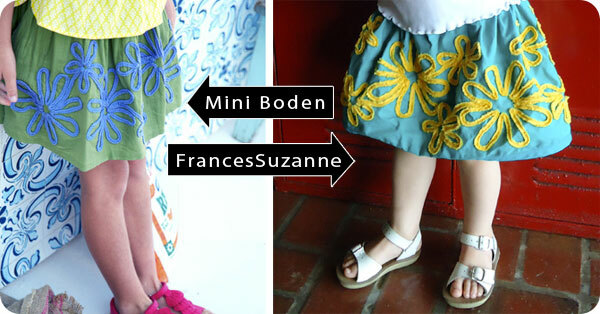 3 comments on "Knock it Off - Frances Suzanne"
I love mini boden style! And you have recreated it perfectly! Good job!